History has never recorded more than temporary stalemates in the wars between the city-states of the Shallow Seas. Proud Patmos, our city, was one of the greatest. In a daring gambit our admirals sought to build a flotilla in secret with which to crush our greatest rival and establish unassailable command of all other cities. However, the plan was discovered, by treachery or ill luck, and our enemy struck first, burning the warships in their hidden coves and striking the forts on our shores with a ferocity that overwhelmed our unprepared defenses. Our navy smoldering and our armies in retreat, the Primarchs were desperate. The sorcerer Ascidia Bel, long bereft of influence though as yet unbanished, took the crisis as an opportunity. He promised to defeat the invaders with ancient war magic if the coffers were put at his disposal and his fellow magicians were allowed back to aid him in the weaving of the great spell. With the bonfires of the enemy sighted from our towers and only days away, the Primarchs acquiesced. Bel put out a call for his dispersed fellows and over the course of the next day a carnival of witches, warlocks, and diviners answered his summons. They worked feverishly through the night, preparing tribute and sacrifices. The wizards dug trenches in forbidden patterns and filled them with the herbed blood of oxen and prisoners. They stacked treasure in pyramids that reflected the light of tall cylindrical bonfires and chanted sibilant magic words that slid off the ears and defied comprehension despite superficial simplicity. Ascidia Bel uttered the final syllable almost in a whisper but it was clear as a trumpet call. All was still for several moments. Then the ground began to shake and Bel began to scream. His face melted off and his body crumpled forward. His flesh ignited, burning with an intensity reserved for lost chemistries. Still it lies to this day in the central plaza, always burning, never consumed, too hot to approach closer than ten paces. Several of the taller towers, built by secret societies of masons using hidden techniques, collapsed. The faces of the other sorcerers burst into flame but they did not die. They scattered, crawling on all fours, scurrying like insects, fleeing from their fallen chief into the shadows. We heard strange drums far off. Lights flickered beyond the hills and over the Shallow Seas. From the mist and smoke and raining ash they came. Some shambling, some stomping, some prancing like acrobats. The smallest was the height of four tall men and no two were alike. Hefting terrible weapons, all rust and spines and cleaving iron, they clustered near the radiant beacon of the ruined sorcerer husk, milling like bees around honey to receive their charge, then like wolves scenting prey, set off into the night. 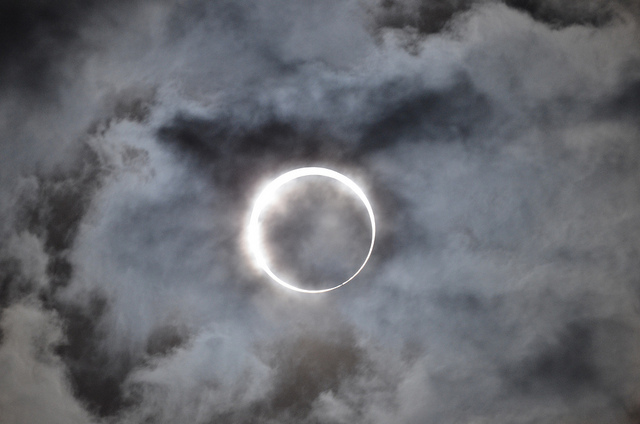 The next day the sun rose shedding little light, obscured by a disk of blackness in permanent eclipse. After the sortie, no foreign travelers arrived. The roads were empty. Venturing forth, our envoys found abandoned way houses. Only dust inhabited nearby towns. Scouting parties spotted unmanned galleys drifting aimlessly, directed now by only tides and winds. An outrider discovered one of the summoned creatures in a field outside one empty town, standing almost motionless, hundreds of vultures perched on its shoulders and the trees nearby. Soon after, three of Ascidia Bel’s giant avengers returned. At first we fled in panic, thinking that they meant to finish what began the night before the eclipse, but they seemed not to see us. Now, one walks up and down the river ceaselessly. Another stands by the great sundial. 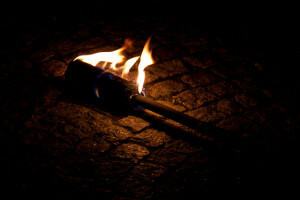 The last waded into a storehouse, structural timbers snapping like twigs, then halted as if it had forgotten its intent. They ignore us like we do not exist. Some of us call the creatures Guardians, and lay wreathes and fresh sacrifices at their titanic feet, to which they pay no attention, inscrutable. Crops were left to rot in the fields. Some saw these events as heralding the dissolution of mortal law, and there was brief unrest, but the troublemakers were either slain or exiled. We do not know if the calamity outside our walls has claimed them. Grain stores remain plentiful, though they will not last indefinitely, and the river is lavish with fish, so our stomachs are filled though our spirits remain anxious. Around this time beasts began to change, growing to unnatural sizes. We noticed first with the fish from the river, then stray dogs and hounds. The larger the animal, the more feral. Wicked hawks grown large have snatched lone venturers into the sky. Our city is the last city. The day is drenched in shadow like constant twilight. The night is warm and fetid. I fear we have called up the agents of the end of the world. The bravest of us have formed small companies to venture beyond our walls, but others, terrified of the unknown, form coteries to safeguard what remains inside. This is the setting background for a Hexagram play test. This entry was posted in Campaigns on December 20, 2015 by Necropraxis. Playing yesterday evening using the Hazard System led me to think about light resources again. On paper, I have something about coverage where the number of light sources needed depends on the size of the party (a candle provides coverage for one party member and a torch or lantern provides coverage for 3 party members). This works okay but I am not happy with the calculation step and though it is easy to do initially I also think the details about the number of light sources required tends to get forgotten as play progresses. Light required = party size / 3, round up. When the hazard die indicates light exhaustion, to maintain illumination consume a number of light resources equal to light required number. This can be torches, oil if characters have lanterns, etc. Zero light sources means total darkness. Less light sources remaining than light required but more than zero means some general penalty to actions that need illumination (and the next light exhaustion hazard die result = total darkness unless more light resources can be obtained before then). This “light required” value is probably a good general measure of party size for other purposes as well at the “dungeon exploration” resolution of play. It could also be used for the number of rations that should be consumed when the Hazard Die indicates fatigue (as requiring each character to consume a full ration at this resolution of play is not entirely satisfying for me). This measure should probably have a more general name, though, if it is going to be used multiply. “Party magnitude” sounds overly technical. “Maintenance” rating perhaps? This entry was posted in Rules on December 19, 2015 by Necropraxis. Adam M. recently posted a good piece on deferring the choice of alignment. The idea contained in that post, as I understand it, is mostly narrative; rather than pick an alignment at first level and try to live up to it through character actions, instead make alignment depend upon low-level character actions. Presumably this would then matter somehow during the mid-game or stronghold phase of play, though the post is light on details. Traditionally, alignment did have several mechanical effects, though only a few of them seem like they would regularly see play. For example, evil or chaotic characters should be affected by spells like protection from evil. 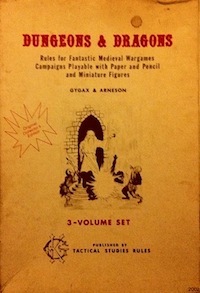 However, these effects are few and far between, may not add enough to play for the management hassle, and anyways were largely eclipsed by the way alignment came to be interpreted as something like personality in AD&D and after. If one is going to defer the choice of alignment, however, why not leverage incentive psychology and make attaining alignment an achievement? 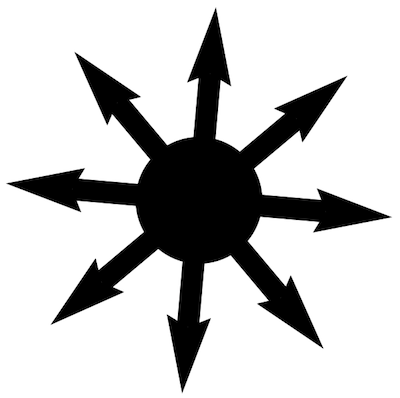 One could build something like a skill or feat tree with criteria, either level- or action-based, for gaining status within law, chaos, or whatever moral/allegiance structure underlies the fictional world. Action guidance could be provided by taboos or restrictions, the violation of which might cause an aligned character to fall down a rank. Alignment ranks could also be prerequisites for certain powers or faction benefits in a way that is mechanically transparent to players. Such transparency would make alignment motivational rather than descriptive. This entry was posted in Rules and tagged alignment on December 13, 2015 by Necropraxis.